6. How Often Should You Have a Team Huddle? A workplace Huddle is more than just a staff meeting. It’s a regular discussion in which attendees address key performance indicators and areas of improvement. These meetings can take place daily or weekly. The purpose of team Huddles are to drive employee engagement and to serve as a self-correcting measure to keep the company on the path toward achieving its goals. To do this we first get employees educated on company financial information and define the numbers that are most important in an organization. This allows employees to understand how their personal actions affect the company’s most important key performance indicators (we call this your Critical Number™). We then create MiniGames™ that provide a fun way to track and reward a targeted effort to improve upon the Critical Numbers. At The Great Game of Business, we group our team Huddles into what we call Huddle Cycles. A Huddle Cycle includes three elements: Pre-Huddle, Management Huddle, and Company-Wide Huddle. The Pre-Huddle, as the name suggests, is the first meeting in the Huddle Cycle. In this Huddle, the senior manager of a particular workgroup leads a short discussion to go over operational performance and to fill in the individual team scorecard. From this session, financial opinions or forecasts are developed. The Pre-Huddle provides a great opportunity to discuss impediments, lessons learned, and suggestions for improvement. The next step in the Huddle Cycle is led by the general manager, with the leaders from the Pre-Huddles in attendance. The purpose of this Huddle is to compile and present everything from the Pre-Huddle meetings. Management Huddles are intended to be a little longer, averaging around 30 minutes. During this time, the challenges facing each department are addressed by discussing department updates, checking each department’s Critical Number and deciding on big-picture changes that need to be made. The information from the Management Huddle prepares management for the third stage in the Huddle Cycle, the Company-Wide Huddle or Big Huddle. The final stage in the Huddle Cycle is what people typically think of as “the Huddle.” This time, all employees and managers attend and review information collected through the first two Huddle meetings. Also called “Big Huddle,” this main Huddle is led by the General Manager or other top-level managers and should last 45 minutes to an hour. What makes the Company-Wide Huddle so important is that it gives all employees a chance to see parts of the business they aren’t exposed to on a day-to-day basis. The main goals include: explaining and reviewing the company scoreboard, sharing the overall financial outlook, developing ideas for improvement, and communicating consolidated information to all employees. An Engaging Facilitator - Your Huddle format can take a variety of forms but in order to make it work, someone will need to be there to energize, engage and guide the team. Don’t be afraid to rotate different individuals in and pay attention to which ones your staff responds best towards. A Visible Scoreboard - By providing a visual element to your Huddle space, your team will be able to easily keep track of the status of the Game. This is also a great way to emphasize the importance of the numbers in your organization. Binders for Each Participant - To best follow the action and keep score, individuals will need personal access to important information. Their binders will include notes, bonus plan information and the scorecard. They should be able to refer to their binder to review notes from the meetings, refer to the scorecard status as well as have a direct line-of-sight to their bonus plan. Prizes - Leaders are always wondering how to make staff meetings more fun. Adding an element of rewards and prizes for participation makes staff meeting time less dreaded and more of a refreshing change of pace to the typical work day. Some ways you can reward participation is by giving away gifts from vendors, rewards points, food etc. to the top participants who are actively speaking up and asking questions. Huddle Position Rotation - Let employees rotate through positions such as facilitator, scribe or analyst to give everyone a fresh perspective and maintain interest. Evaluating the Game Conditions - This is your chance to see what has been working and what hasn’t been. Take some time here to go over operational updates and inform the team on the current landscape of the company and the marketplace. Checking the Score - Update the company scoreboard and discuss the results. Make sure that participating members are also coming prepared by having their numbers ready to report. Planning the Next Play - Use the scoreboard to make assumptions on where you will be going in the future. One of the most important things to discuss at a staff meeting will be each individual’s personal contribution. During this portion of the team Huddle, help your team members discuss how they can contribute to the success of the business in the following days. Take Time to Get Everyone Excited - If you’re really wanting to get your employees aligned with management and create a culture of accountability, the most important thing you can do is to get them fired up. Take some time during each work Huddle to celebrate both personal and team wins. One of the best ways to make meetings more interactive is by acknowledging and showing appreciation by simply taking a moment to shine a light on behavior you want reinforced. How Often Should You Have a Team Huddle? One of the main fears people have when implementing team Huddle at work is that they will be too time consuming or that they are just another meeting. From our experience, The Great Game Huddles actually save time because of how they are different. Since Great Game practitioners aim to truly motivate and engage their organization from top to bottom, the format and content of these Huddles will support that broad goal. When employees are educated through financial literacy training and a ownership mindset is developed, communication, performance and task executions improve. Referring back to the types of Huddles, we can see how often each of these Huddles should occur. 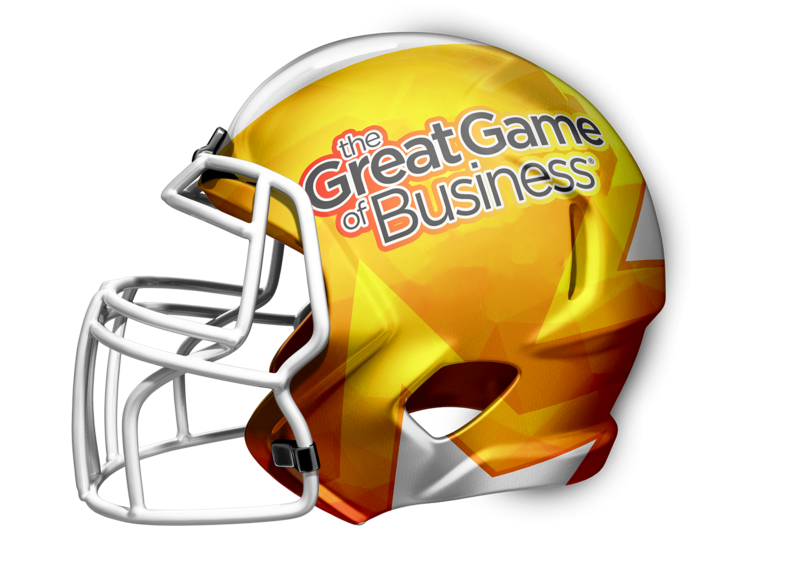 Team Huddles are one piece of the puzzle when playing the Great Game of Business. A business operating system intended to transform a company into a cohesive unit where all members think and act more like you, an owner or leader. With a willingness to engage in new ideas and both fight for and develop your people, you too can begin to conduct productive and meaningful workplace Huddles. While not every company we work with will have the exact same Huddle arrangement, sticking to these guidelines will give you the tools to motivate your team and set the stage for continual and sustainable growth in your organization. How Good Is Your Team Huddle?